Yes, the research is in – weight training is now proven as an optimal way to increase bone health. 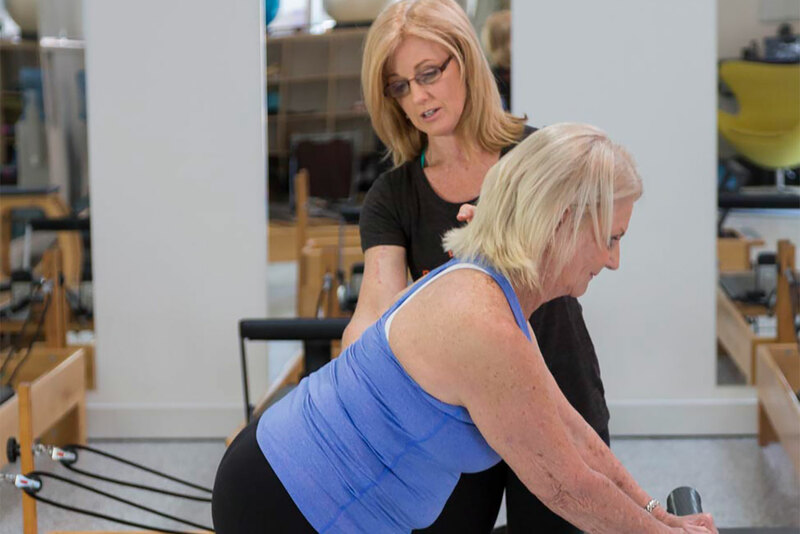 Core Pilates prides itself on providing clients with well-rounded programs, designed to encourage and build sustainable and lasting change and progression. Our programs are individualised to suit your needs and we are specifically passionate about bone and joint health and understand the importance of “cross training” to receive maximum benefits. Our regular studio sessions can include weight training if desired and will provide a safe and motivating environment aimed to challenge your muscles at different levels. In these sessions you can mix your Pilates using the principles of good body awareness and core control whilst focusing on global muscle strength and loaded functional movement using weights. Together they provide a powerful workout and the perfect combination towards optimal wellness and bone health. We also offer small group classes that teach functional exercise mixed with Pilates that focus on bone and joint health. Read more about our Buff Bones and Power Pilates programs. Bone density is an important issue, regardless of your age or condition. Taking care of your bones ensures that you have a strong framework to carry you through your entire life. This enables you to move consciously and go about your day-to-day tasks without undue stress on your body. You should never underestimate the importance of keeping your bones strong and healthy because doing so will help you maintain a good quality of life as you age. According to Osteoporosis Australia, low bone density affects 5.4 million Australians of all ages, so you should definitely take positive steps to ensure your bones are in great shape and keep them that way. At CORE PILATES BRISBANE, we believe that bone health and exercise are inextricably linked, and our goal is to show you how to move well to achieve this. A standard Pilates routine may not be appropriate for a person with low bone density, so a modified Pilates programme focused on alignment and correct muscle recruitment can help build improve posture, balance, and awareness. Buff Bones® is a medically-endorsed workout that combines Pilates, functional movement, strength training, and therapeutic exercise with bone-strengthening and balance techniques to optimise the health and safety of your bones. The workout follows a research-supported design of specifically sequenced exercises, making it an entire system of bone and joint health. Toning your arms, hips, back and abs, the Buff Bones® system also improves posture, is adaptable to varying levels, and is even safe for those with Osteoporosis. Pilates Power sessions are provided in a safe and motivating environment, aimed to challenge your muscles at different levels. These classes embody all of the Pilates principles of good body awareness and core control whilst integrating Matwork, Reformer Pilates and Strength Training. Together these elements provide a powerful workout and a perfect combination towards optimal wellness for those wanting to take their pilates to the next level. These sessions are scheduled throughout the week and designed to give you a well-balanced challenging workout in a small group environment.